In early 2008, the media picked up on research results coming from Glasgow University that had huge implications for controlling access in all sorts of corporate, government-controlled and even public settings. Professor of Psychology Mike Burton and his colleagues reported that they had developed a system that modeled human familiarity based on variance in a series of an individual’s photographs, and that in certain samples their results approached 100 percent accuracy in automated face recognition. Would apparent advances in this form of biometric technology have the potential to replace other biometric security methods such as voice verification, fingerprinting and retinal recognition? A year later, it seemed high time to check in with Burton for updated findings from the Glasgow Face Recognition Group, and to point out some of the major advantages and disadvantages of a powerful biometric technology with a growing presence around the world. Face recognition normally uses an image of the face, projected onto a flat surface, or a more quantitative method that looks at specific parts of the face that do not change significantly over time such as the upper eye socket, cheek bone, distance between eyes, length of nose or a similar measurement. 3-D systems can include liveness detection, like watching for blinks, to protect against the use of a photograph or mannequin head being used as a credential. Two major categories are those wherein a subject consciously engages with a machine that takes an individual’s picture, versus a machine designed for faraway scanning of crowds for faces that might be in some type of criminal ID database. Still, aware that face-recognition technology could be a real game-changer in security, many companies and research organizations are working hard on overcoming glitches. 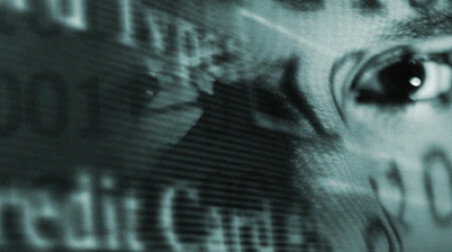 Face recognition has many advantages, including its ability to absorb information from a wide variety of photographic formats (passports, videotape, images from databases, and future sources); since some uses require no awareness from the subject, it is the least intrusive of biometrics; and it can be used on crowds in real time. While widely used in some parts of the world, with the US, UK, Japan and Germany at the forefront in its development according to Prof. Burton, there can be a cultural stigma to overcome as this form of biometrics got its start in law enforcement. Other cons and variables that can affect results, according to Swedish expert Ulrik Söderström, from Umeå University, are difficulties with controlled-light sources, the human factor that criminals may already be on to ways to disguise facial features to trick many of the machines, and the reality that most people recognize their own race better than those from another race. That face recognition is “highly viewpoint dependent,” as Söderström puts it, appears to be an enduring obstacle not just for the machines processing the data, but also for security personnel who must ultimately make a judgment call whether to retain an individual who’s facing the machine, or being scanned more anonymously in a crowd. There is no doubt that biometrics in all forms are already significant in worldwide security. Reports by the International Biometrics Group put the total biometric market at US$1.5 billion in 2005 with fingerprint scanning comprising 44% of the market, facial recognition at 19%, and hand geometry at 9%. Middleware makes up 12% of the total market.